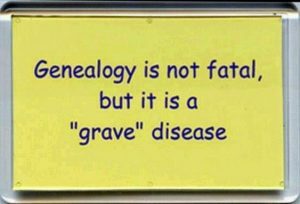 Did you know, Genealogy is not fatal, but it is a “grave disease”…. How many of you made a ‘har-har’ noise at this morbid joke? (excuse the pun, we meant to say terrible, how many of you laughed at this terrible joke?) Or at least forced air out from your nose and rolled your eyes a few times. Happy April Fools Day all! 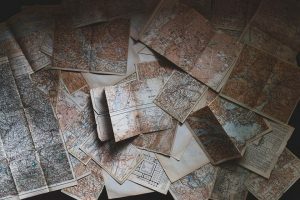 Today, we’re here to educate you with all the best (and worst) genealogical hoaxes in history. What is this day and why do we celebrate it in the western world? 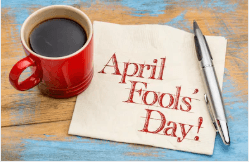 Also known as All Fool’s Day, April Fools Day is one of the most cheerful days of the year which is observed throughout the western world. And funnily enough, its origins are unclear! Some see it as a celebration related to the turn of the seasons, while others believe it stems from the adoption of a new calendar. One popular explanation is that the day arose because of a refusal to accept the new Gregorian calendar, which replaced the Julian calendar in 1582, which meant New Year’s Day was celebrated on January 1st instead of April 1st. ‘Traditionalists’ those that went by the old calendar were made a mockery of and were sent on ‘fool’s errands’ or were tried to be tricked into believing something false. This practice eventually spread throughout Europe. It is also worth noting that around this time of year as we shift from winter to spring, different cultures all over the world celebrate light-hearted traditions, which could be seen as practicing acts of ‘foolishness’. Celebrating the end of winter and the return of spring. For example; The Hindu calendar has Holi, and the Jewish calendar has Purim. Read here for more further detail and more explanations as to why we celebrate April Fools Day. Broad statements such as all Germans are Hessians who fought in the American Revolution. All the French are Huguenots and all Hispanics are Mexican are of course, not true. We tend to stereotype, and assume that certain groups of people belong to one category. Nationality is not a distinct enough identifier in genealogy. Names, also, may be inaccurate indicators of ethnic identity. Just because the name sounds Irish, is it really Irish? The name you are accustomed to may have been changed or become corrupted over time, which in turn makes its ethnic origins difficult to reveal. It’s always three brothers who immigrated to America, never two or four or five or six. Sometimes one is lost at sea during the voyage over, or one went north, one went south, and one headed west, never to be heard from again. There are never any other family involved in the big move across the pond. Be wary of the brothers myth, and always keep an eye out for additional siblings both in America and once you start foreign research. You may come across it someday! 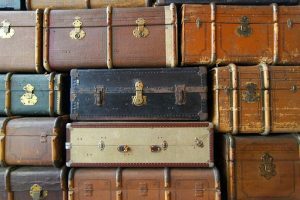 For more information or for further detail on these family myths and legends, check out this site! You can also read about some of the world’s most famous fabricated US genealogies here, it features the hoaxes, Franklin W. Horn and “The Horn Papers” and Gustave Anjou and the Family Histories Too Good To Be True. All hoaxes aside, what isn’t a joke is, us! We’re dedicated to giving you all the best, correct information, advice and help that our speakers and exhibitors will provide for you. Want to know more about THE Show? Visit our website! Another common myth is that of extramarital royal or noble ancestors. These people’s lives and families were so well-documented, and it’s not like extramarital children from their lines were never acknowledged. If there’s no evidence of such extramarital children of a king, prince, duke, etc., from reputable sources, odds are people made them up to enhance their lineage. You can book over the phone by calling 0121 427 8888 or 0800 0142 729, online or via their handy app. Alternatively, pick one up at the clearly marked ranks outside our main entrances. For added convenience TOA Taxis accept all major credit cards, subject to a charge of 10%+VAT. If you plan to arrive at the NEC using other Taxi or Private Hire provider you will be dropped off at either the Piazza drop off and pick up area or the Atrium entrance. At the end of your visit if you choose to use TOA you can be picked up by the main entrance, or if you are being picked up by other Taxi or Private Hire provider, you will need to go to the Private Hire pick up area. You will find one located at either the Piazza or Atrium, a short walk from the main entrances. The location of these is shown on our site plan (PH). If you are a disabled visitor please visit our dedicated page. From here you can get to the NEC via the free air-rail link, which takes just 90 seconds and runs every two minutes. Jumping on a bus in Birmingham City Centre? You’ll want the X1 service (every 15 minutes) or the 97A (every 30 minutes). Local services also run from Solihull (966) and Coventry (900). Choices, choices. Simply take the free and fast air-rail link to Birmingham International Railway Station located at the upper level of Terminal 1. The train runs every two minutes and only takes 90 seconds. When you arrive just head straight through to the NEC. You’ll find us clearly signposted from all motorways and major routes including the M42, M40 and M6 – just pop B40 1NT in your sat nav. When you arrive at the NEC don’t follow your satnav anymore, look out for the show name you’re visiting on our signs. Then, simply jump on our free shuttle bus or take a leisurely stroll along our signposted footpaths. Keep up to date with what’s happening on the roads – plan your journey in advance and find out the latest traffic information when you’re here, available on Highways England’s website.